When you or a loved one is taken to jail, the first thing you want to do is secure an immediate release. The average bail amount in California is $50,000. Remember, at least half of the bail amounts are higher! So now what do you do? You don’t have that kind of cash to hand to the court. Most people require the assistance of a trusted bail bonds agent to get out of jail. A bail bonds agent makes a loan of the bail money to get you or your loved one out. The agent will ask for collateral for the loan. What does collateral mean? Read on to learn more. Contact a bail bondsman as soon as possible to start the process of posting bail. He can help use his knowledge and experience to navigate the bail system. The amount of bail depends on many factors. The judge takes the severity of the charge and history of the accused into consideration. The court also looks at the job history, family situation, and overall stability. The bail amounts set in the state bail schedule are minimums. The judge may increase the bail amount if the court feels that there is any danger of the accused fleeing. Once bail amount is set the defendant may post a bond to get out of jail while awaiting trial. When you post a bond through a bail bond agent, you pay a nonrefundable fee of up to 10% to the bail bondsman. It’s like the premium on an insurance policy. The bail agent will then post bail to the court and guarantee that the defendant returns to court. You and your co-signers (family and friends) will sign a contract with the bail bondsman. The contract states that the defendant (you), when released, promises to make all court appearances. The obligation ends when the court legally declares that the case has concluded. You and your co-signers put up collateral equal in value to the bail amount. The bail bondsman holds it until the defendant meets all obligations. Your bail agent holds collateral just in case the defendant (you) fails to meet court dates an appearances. The bail bondsman has loaned you the money to set you free, after all. If you do not meet your obligations, the collateral is forfeit, meaning the bail bondsman may sell it to repay the loan. For this reason, you and your family need to place items like deeds to real estate, vehicle titles, bank accounts, jewelry, stocks & bonds, and other valuables with the bail bondsman until the court case is decided. All the items given as collateral cannot have other liens against them. A bail bondsman will use them to recover the loss of their loan if the defendant fails to make their obligations. Large items like homes and vehicles generally may remain in use, but small items are secured while used as collateral. House property titles offered as collateral for securing a bail bond must be owned outright. Normally, the home is allowed to be used during the process. If the home is a rental property, the owner will continue to collect rent, even while the deeds are held by the bail bondsman. If the house has a mortgage, the bank is the first creditor, so it will not work as a guarantee to a bail agent. Surrender title deeds to land as security. Homes and land need not belong to the defendant, but cosigners must understand that they will be forfeit if obligations are not met. Again, there can be no other liens against the property. Some bail agents take titles of valuable items such as planes, trucks, boats, RVs, or cars as collateral. Some items may need to be secured in a yard or hangar until the case finishes. There can be no other loans against the vehicle. Bail agents can take and hold these items for the duration of the court proceedings and return them promptly. Even bank and brokerage accounts can work. Just be aware that the accounts used for collateral are locked and money cannot be withdrawn until the case ends. A bail agent can release collateral immediately at the end of their contract. Handing financial instruments directly to the court can mean a wait of a year or more for their return at the end of the case. Bail bondsmen are not expert gemologists or antique dealers. They may not put a high value on collateral like art, furniture or jewelry. 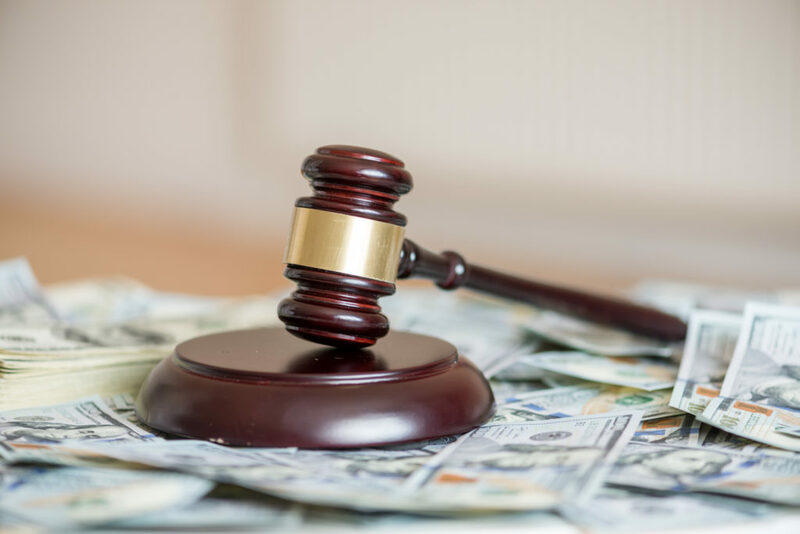 Bail collateral is typically returned after the defendant pays off all financial obligations and the case has been concluded. Usually, this is within five business days. Getting out of jail in Hollywood is a high priority. We can work with your attorney and co-signers to secure your release quickly and discreetly. Emergency situations are our specialty. With over 15 years in the business, we can help you gather cash and assets quickly to secure your release. All your information is confidential. You can trust us to fairly assess your risk and determine your premium. Get the trusted help you need. Call us now!